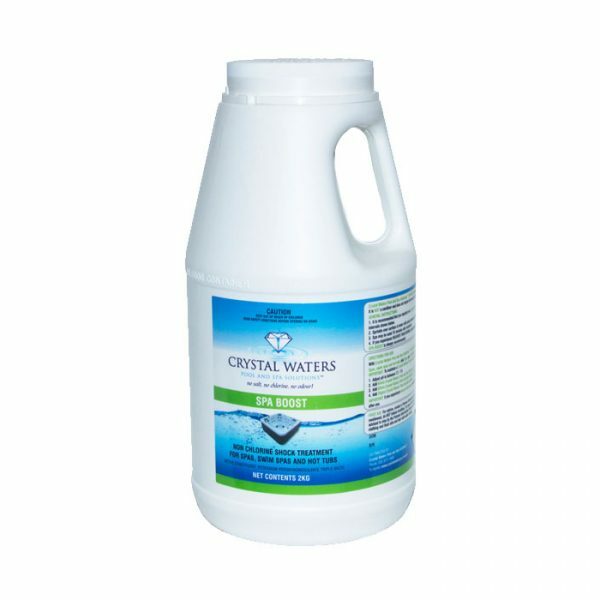 Crystal Waters Spa Boost is the third part of a 3 part sanitising system. 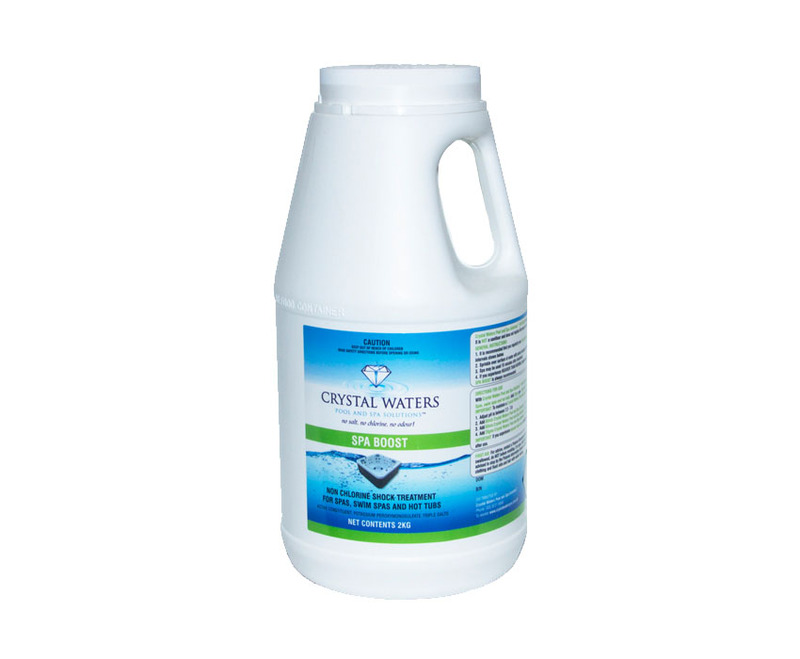 Spa Boost oxidizes body fats, and impurities in the water, leaving your water clean and clear. Spa Boost is to be used both weekly, and after heavy bath loads, and will help prevent cloudy or green water, scum lines, and build ups of body fats and oils. This 2kg variety is expected to last approximately a year based on weekly doses in a 1000L spa, and 1 additional weekly dose for heavy bath loads.